Moving house is stressful for everyone involved. There are all the financial details to get in order, and you’re constantly worrying about if you’ve made the right decision. But your kids can be hit pretty hard by a move to a new town too. Children develop friendships that can be really firm and important to them, even at a very young age. So, breaking away from this ties and moving to a new town or city is incredibly stressful for them. That’s why it’s so important to give them opportunities to make new friends as soon as you arrive in your new location. 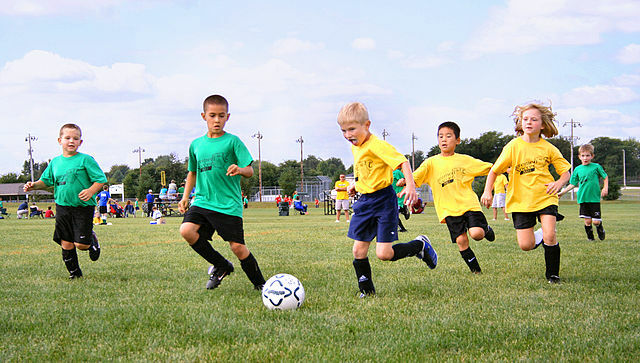 Sport is something that children and adults alike use to bond over. For me, the best way to help kids meet new people and make new friends is to get them involved in playing sports. When they’re introduced to a new environment, it can be even more important. Here’s how sport can help them settle in! If kids are going to settle into a new area, they need to be provided with safe and relaxed environments in which to get used to the change. This is something that happens both inside and outside the home. Getting involved with the local sports team will allow them to meet new people in a relaxed and fun manner. There’s no pressure on them to make friends like there might be at school. Instead, they’ll have the opportunity to let things develop naturally. This is the best way to help friendships flourish. As I mentioned above, the friendships lost after moving away from their old home will have to be replaced sooner or later. And sooner is always better than later. Teammates will very quickly turn into close friends under the right conditions. Send them off to the event with the right kit and the right mindset, and they’ll be fine. If they’re playing soccer, get them a new ball. Or if they’re joining a baseball team, buy them a 2015 Easton Mako youth baseball bat. This will show that you’re supporting them. Then ask their new teammates over for food one evening. They’ll have new friends in no time. Team skills aren’t just good for making new friends on the playing field; they’ll also help your child when it comes to starting at their new school. They’ll be able to communicate with fellow pupils much better and stand a greater chance of making friends in the classroom. Sport is great for bonding, but developing a genuine passion for sport and activity in your child is great for other reasons too. Keeping active will keep them fit. This can only be a good thing in the long-term for your child. So, if you and your family are moving to a new area, let a sport be the thing that makes the transition that little bit easier for them!